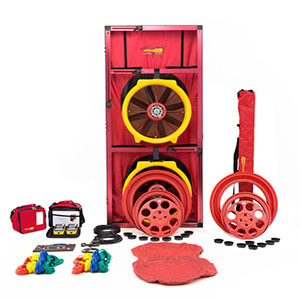 This complete Blower Door Air Leakage Test system, with two fans that you can run simultaneously, has everything you need to easily test larger or leakier buildings. 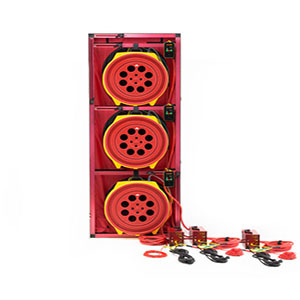 With a ¾ horsepower motor, the included 2 x Model 5000 Calibrated Fans produce up to 13,400 CFM, making it more than capable of measuring air leakage in both small to medium sized commercial or multi-family buildings. The two 5000 fans with Large Cloth Panel performs fully automatic testing using the gauge, a laptop and the provided FanTestic software. Alternatively, simply key the desired test pressure into the gauge and read Air Changes or leakage per unit area in real time directly from the touchscreen gauge; a unique Retrotec feature. 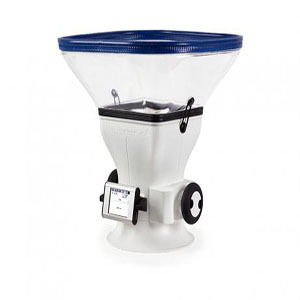 The gauge also offers an onboard “Set-and-Forget” control of enclosure pressure. All you need to do is choose your desired pressure, and then let the gauge do the rest. 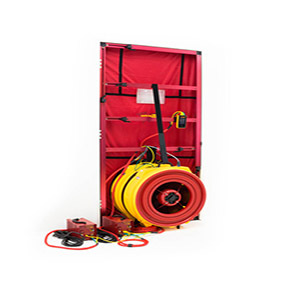 As you seal the leaks in your enclosure and the leakage rate decreases, the system automatically and instantly readjusts the fan to keep the enclosure at the correct pressure. Software provided with the DM32 gauge provides automatic data logging, and remote gauge control from a laptop. With our new 5 year calibration schedule on the DM32, you will have the peace of mind knowing that yearly calibrations are a thing of the past. SKU: AL265. 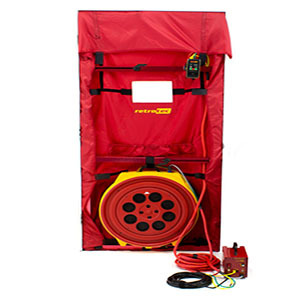 Category: Residential Blowerdoor systems. Tags: 5211 Double Classic, air tightness testing, BLOWER DOORS, retrotec.